Material and Finish: "Raven Black" powder-coated steel posts with IPE Brazilian walnut wood top rail. 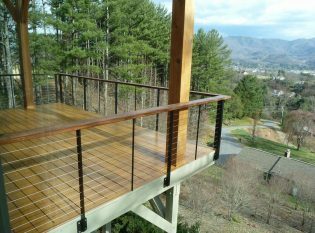 Description: Ithaca Style cable deck railing. 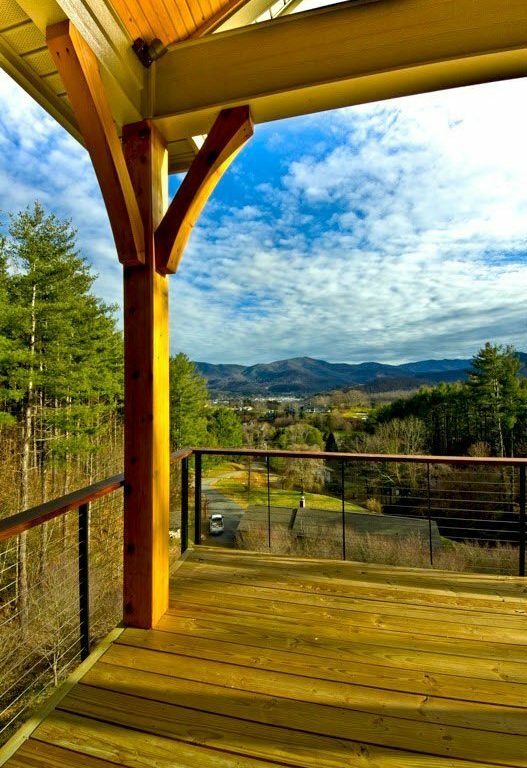 Grove Park Fine Homes, a luxury custom home builder in Asheville, North Carolina, contacted us to build a railing system for a vacation home with a stunning view of Biltmore Lake. Their client wanted to build a classic yet comfortable house with an outdoor living space where they could entertain their friends and family. 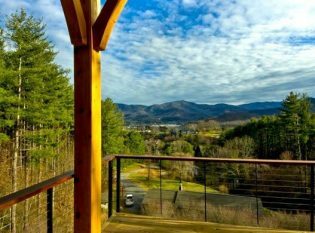 Grove Park Fine Homes designed a gorgeous timber deck with a wide view of the surrounding mountains and the lake in the distance. 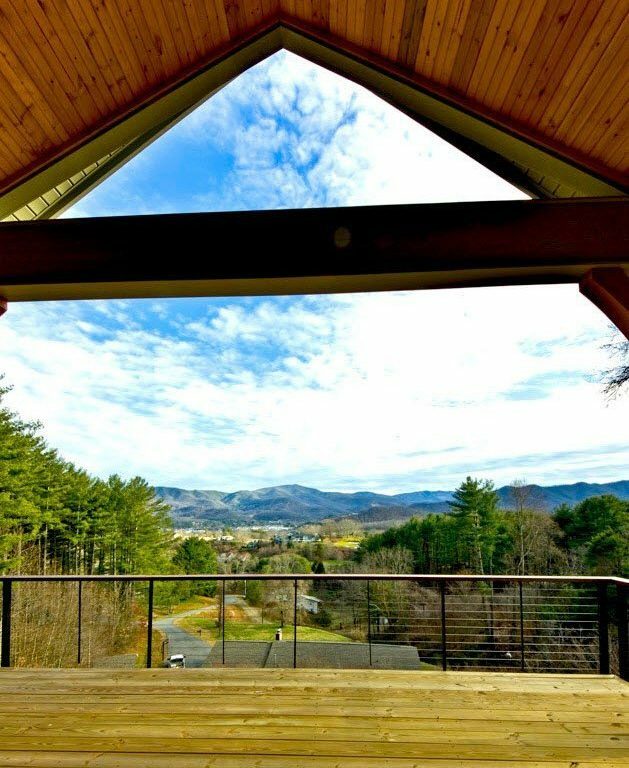 The deck needed a railing system to enclose the space without obstructing the natural panoramic vista. After finding Keuka Studios online and see our Ithaca Style cable railing with slender posts and nearly transparent cables, Grove Park Fine Homes contacted us to join them on the job. 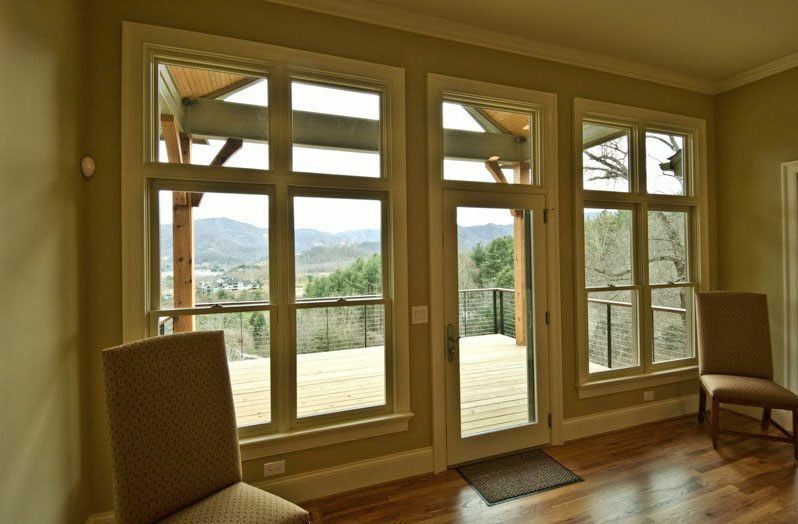 For this project, we did everything we could to minimize exposed hardware that could distract from the view. We fascia mounted the posts and used thin cable spacers that allow us to place the full posts further apart. Although the client considered glass panels, they ultimately decided on cable infill. 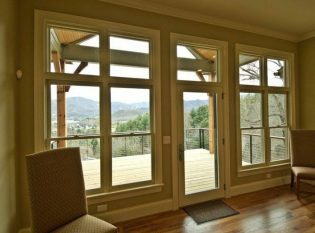 While glass requires continual cleaning, stainless steel rarely needs maintenance. 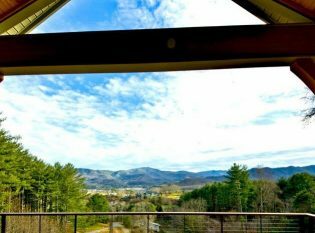 Keuka Studios designed the railing system and our team of craftsman fabricated the entire railing system as our site in Upstate New York. 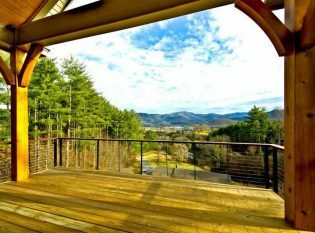 We shipped the final product to Biltmore Lake and Grove Park Fine Homes did a wonderful job installing the railing. 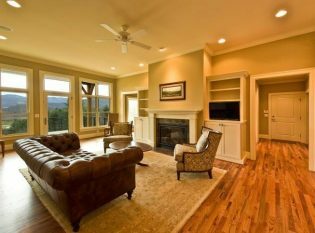 The homeowners were thrilled with the outcome of the project and now enjoy the view of the rugged mountain range without distraction.